Video Game Mondays – “Metroid II: Return of Samus” and “AM2R” Comparison: Part 1 – Overview and Title Screens | Jesse Hecht C.R.E.A.T.I.V.E. Metroid II: Return of Samus is a game near and dear to my heart. Even more so now, not because of the 8-bit black-and-white graphics or the fact that it came out at a time when there was no backlight so you had to angle the Gameboy just right to see the screen clearly, but because of the journey the game has taken. The November 1991 (and subsequent Japanese and European releases in 1992, a far cry from today’s late USA game releases) game’s story does not quite end with the game produced by the late great Gunpei Yokoi. Wait… What in the World Wide Web is Metroid? 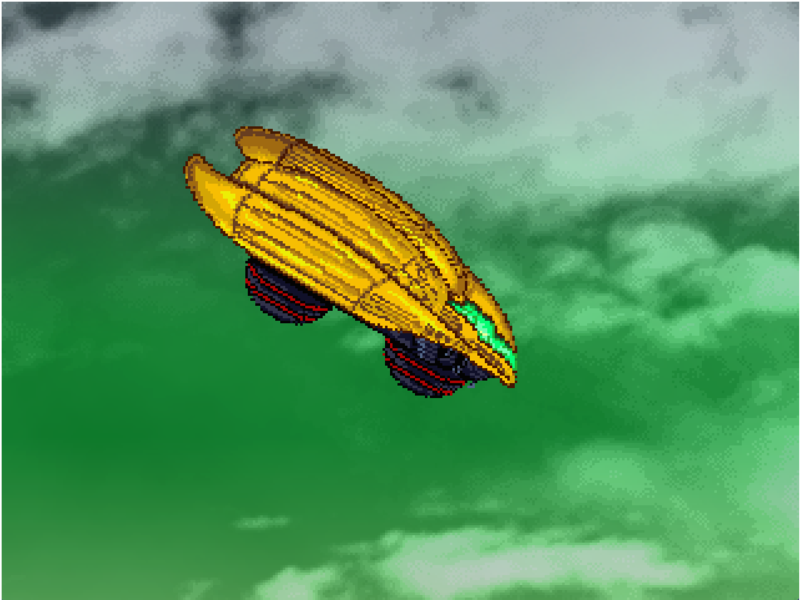 Metroid is a series of science fiction video games that lets the player act as a bounty hunter, going through the cavernous innards of a planet (or a spaceship in some cases), coming across a variety of creatures along the way, and then escaping the planet in some way. The main twist to this is that, if the story is played through quick enough, the identity of the player character, Samus Aran, is actually a woman. This is no real surprise to fans of the Metroid series or even a casual fan of the Super Smash Brothers franchise as of late, but when the first Metroid game, simply titled Metroid, came out in 1986, it was quite the surprise. It used to be rare to have a female protagonist in mainstream media, let alone video games. 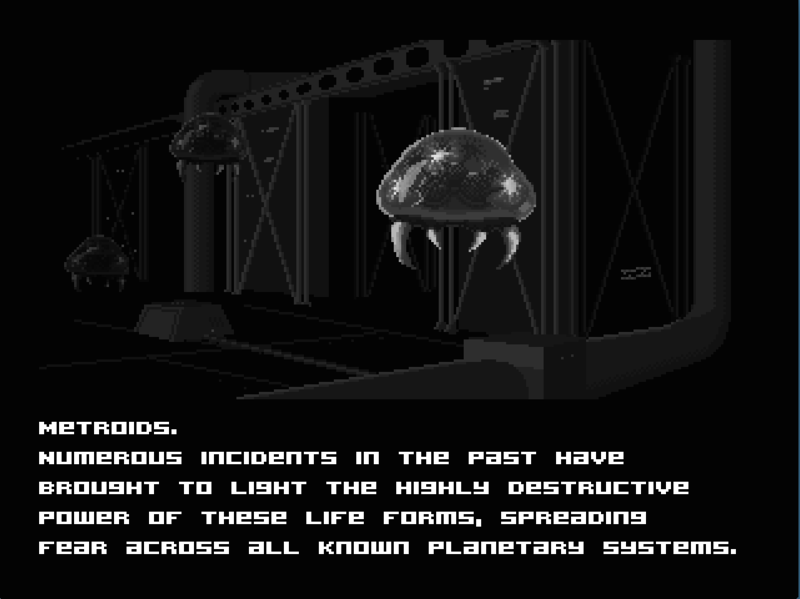 The original 1986 game, also helmed by Yokoi, was inspired in part by the 1979 Ridley Scott film, Alien. The film also featured a female protagonist, as well as giving the director’s namesake to Samus Aran’s villainous Space Pirate Dragon nemesis, Ridley. The Metroid series also features fast-paced gameplay: side-scrolling running, jumping, and gunning for your life as you encounter larger and larger alien lifeforms, solving minor puzzles, and collecting various powerups that in turn unlock greater powerups to help get 100% completion. 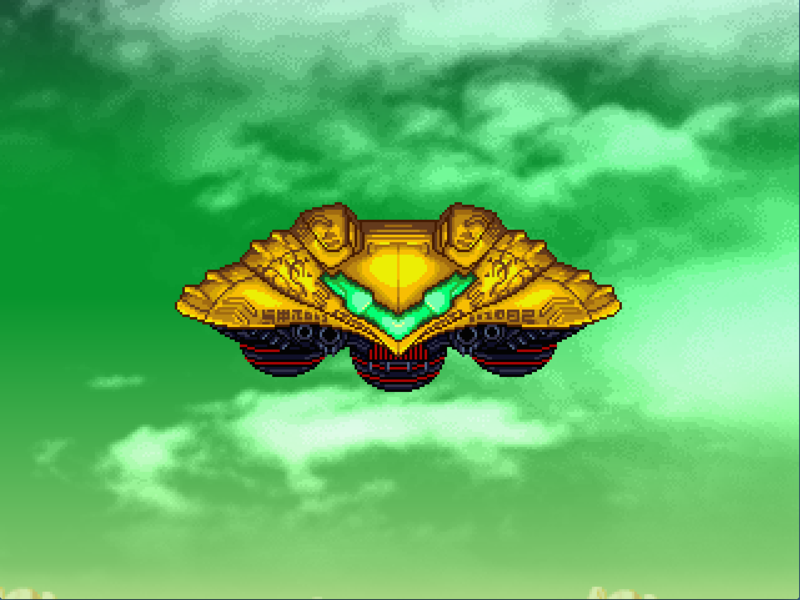 As of the third game in the series, the critically acclaimed Super Metroid, 100% completion was a factor in getting the best ending (along with time). Before this, games used to be about just having fun. Now, it was a race to get the best ending. The game essentially challenges you by teasing you with the bad ending, only so you can restart and find quicker ways to complete the game. The Metroid game series is also like a Rubik’s Cube. Slotting certain colors in the right position allows you to slot different colors into the right position, and solving the cube becomes simpler and simpler as you go (DISCLAIMER: I personally have never solved a Rubik’s Cube, but I assume that solving one is like this as an example). Just as there is speedcubing with the Rubik’s Cube, where the act of solving the cube is timed, now there is speedrunning with video games to see who can get the fastest completion time. 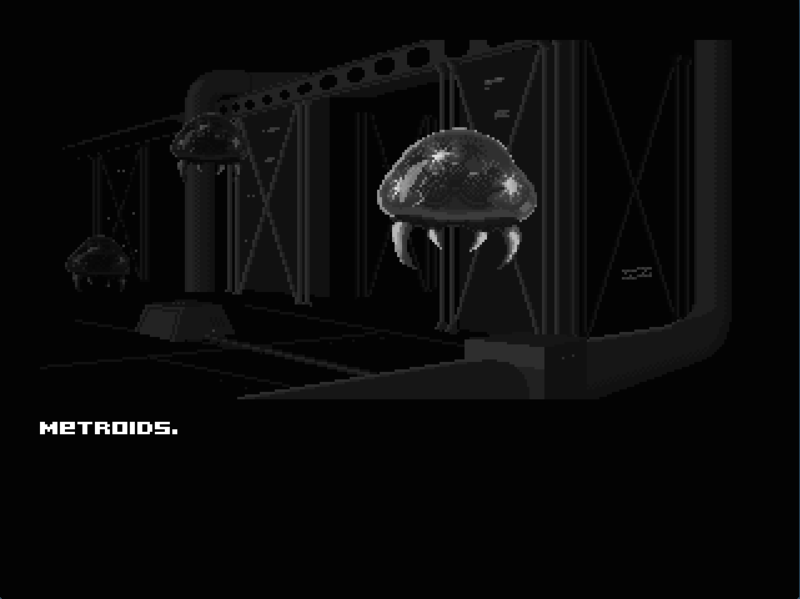 Later games in the Metroid series actually capitalized on this by having hidden passages and workarounds for tedious areas in the game, showing that Nintendo cares and has thought when it comes to speedrunners. First impressions are key. This game does not make an initial first impression, and it is a fault. 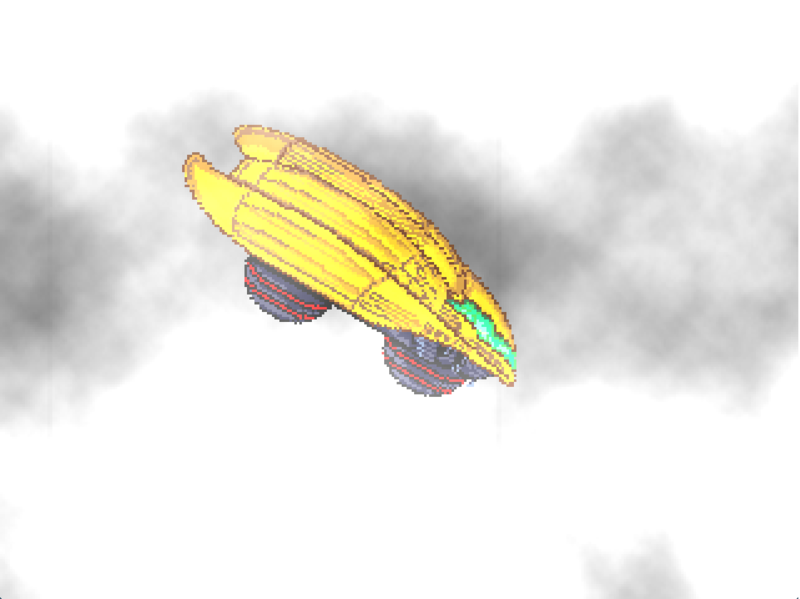 For thirty-three seconds, the player is assaulted with piercing, continuous sound, similar to a loud shriek. Normally, the game would be turned off in a heartbeat, or better, immediate advancement to the game proper, but while writing this review, I had the game open to the title screen, and admittedly, it was difficult to write with that sound in my ear. But as it progressed, a gentler sound filled my ears. Actual melody. For 33 seconds the screeching would continue on, but have a melody overlay it, then drown out the melody with explosive noise, flashing lights, and unearthly warbling. Suddenly, the screeching stopped at 55 seconds, only to be replaced by a recognizable melody that I have heard once before, and have never actually heard on this title screen… (NOTE: The title theme is later drowned out by fading explosive sounds, before looping back to the screeching. How fun!). 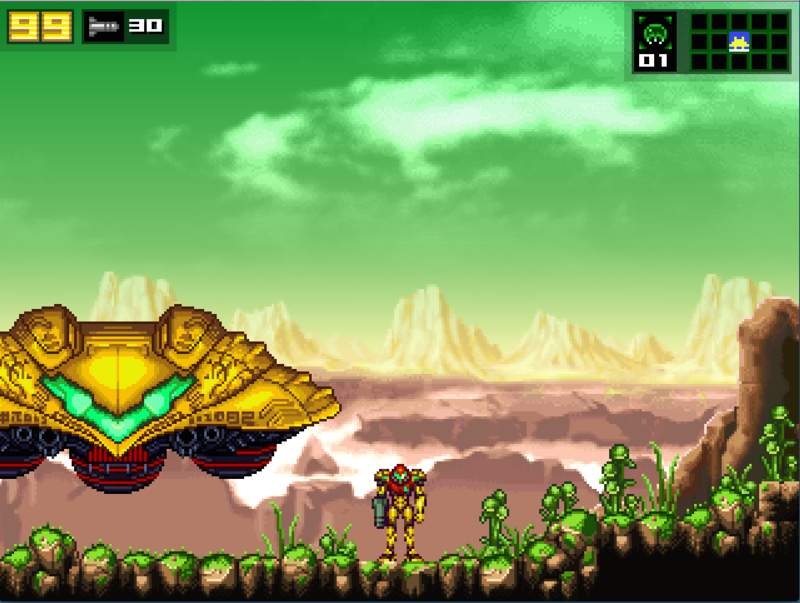 AM2R is a fan-made remake of Metroid 2 created from the ground up on the Windows application called Game Maker: Studio by Argentinian composer (now with a video game developer credit under his belt) Milton Guasti. For the past ten years he worked tirelessly on this project, in his spare time no less, and it is nothing short of a masterpiece. 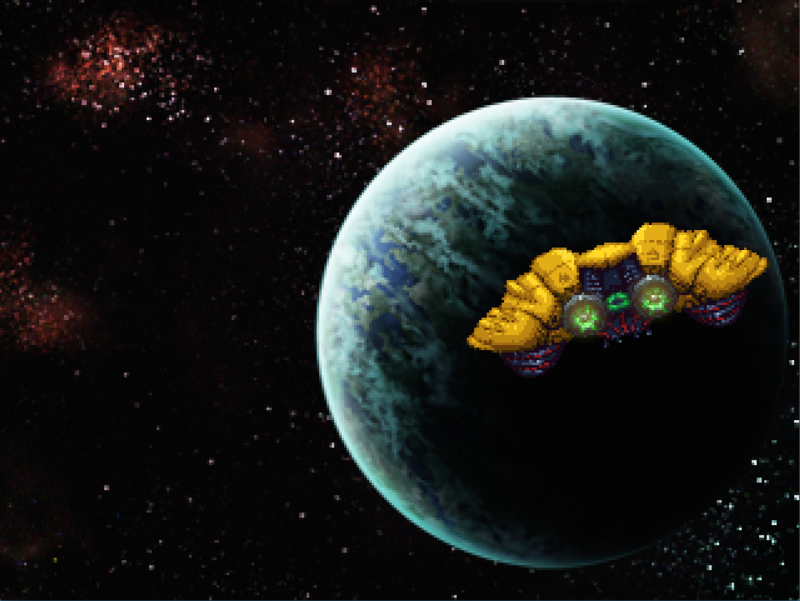 The game itself is inspired by the newer Metroid series titles and it shows. With lush vibrant colors and an intensive 32-bit inspired graphics, the title screen alone blows away its Gameboy predecessor. 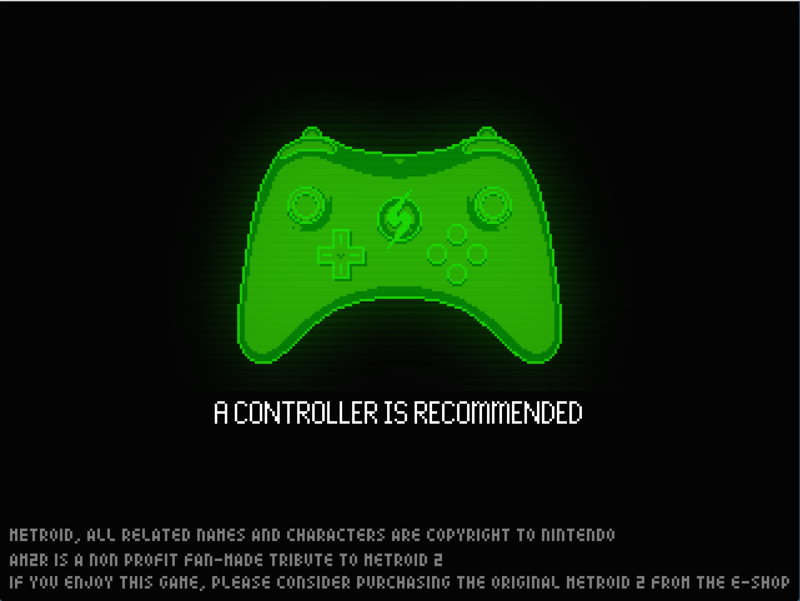 The game starts on a pre-title screen reading “A controller is recommended” and below, copyright information and an encouragement to download the original game from the Nintendo E-Shop itself (as I have years ago, along with getting an official, original copy of the game, but either will suffice). Also, while “a controller is recommended”, I personally prefer playing with a keyboard. I personally believe that it provides more control, but again, either a controller or a keyboard will suffice. 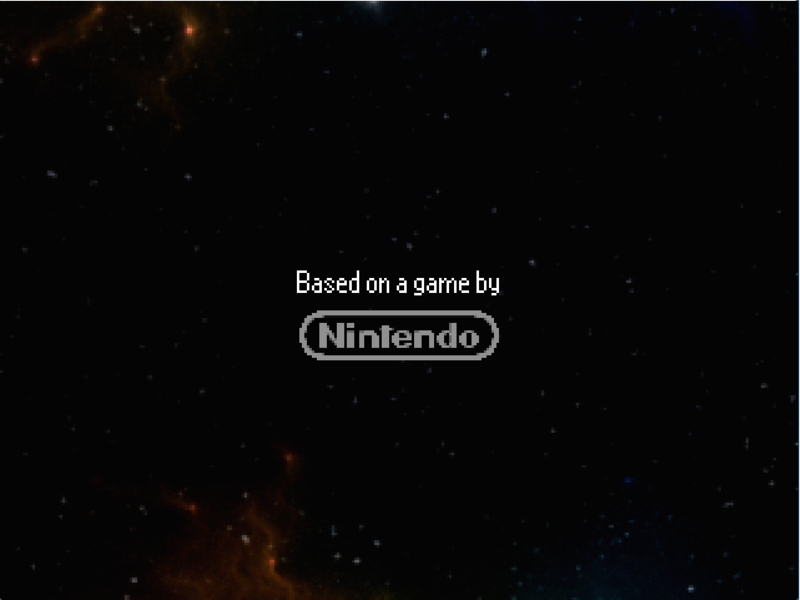 A light piano theme comes in… The title screen starts off with the words “Based on a game by Nintendo” floating over a vast sea of stars. The camera pans down and the words fade. 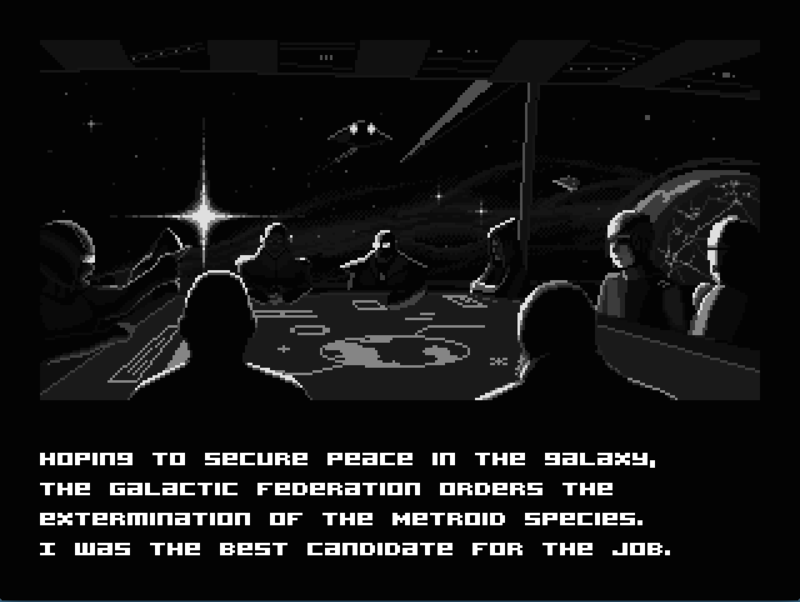 This introduction to the game seems to take a page from the Star Wars film series. 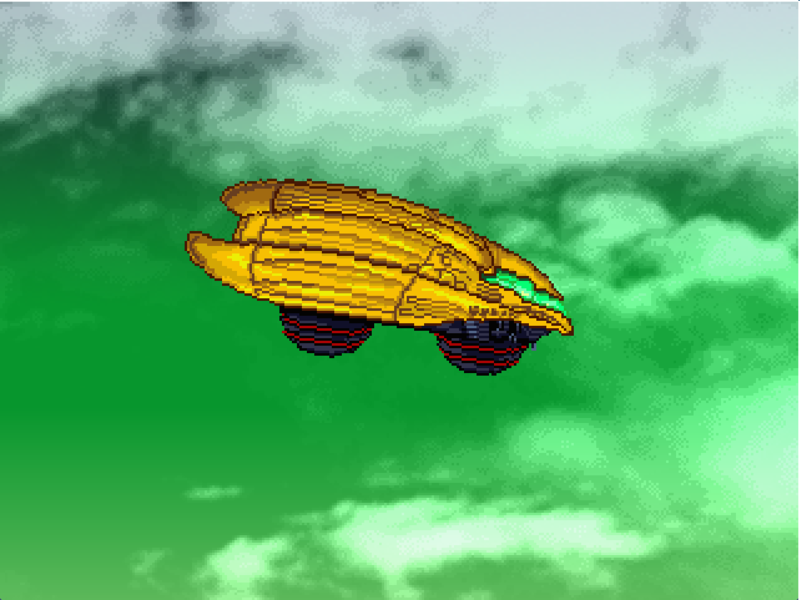 This helps grab attention and also keep the player waiting to see what happens below. 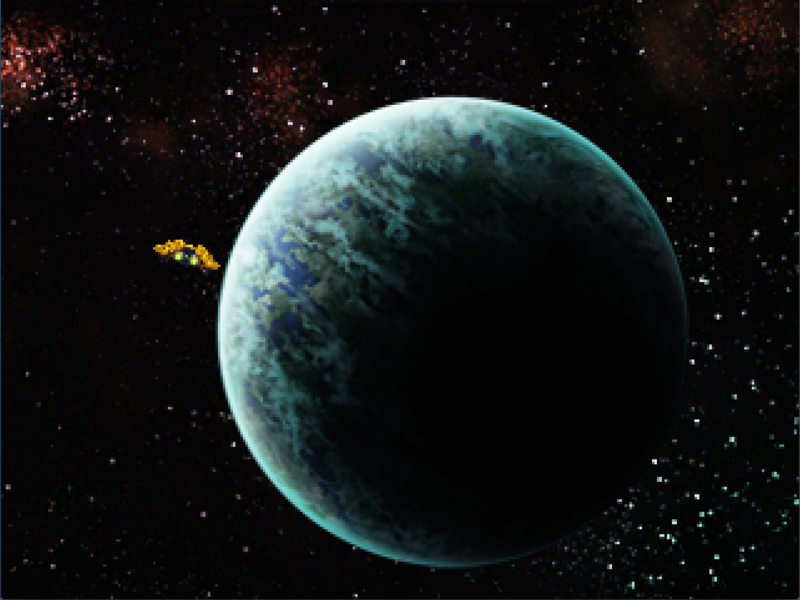 Even though we’ve seen the words before in this article, the words “Metroid 2” fade in as the sea of stars give way to a swirling cluster of galaxies in the distance, as we pan further down to reveal a sea-green planet, larger than the screen can contain. For those just downloading the game, they may now connect what AM2R is regarding the Metroid series. The words fade out again, and then, almost triumphantly, in dark-fading-to-lime-green, the letters “AM2R” appear, along with the words “Return of Samus” in a darker green, and WHAT a return it is (The Metroid series has not had a game like this for over ten years). On the surface of the planet flash the words “Press Start”. The theme grows stronger, adding violins, synth instruments, and percussion to the mix, before ending on a high note and looping back to the piano. Beautiful. Stunning. Most importantly, though, intriguing. Mystifying. Vibrant. 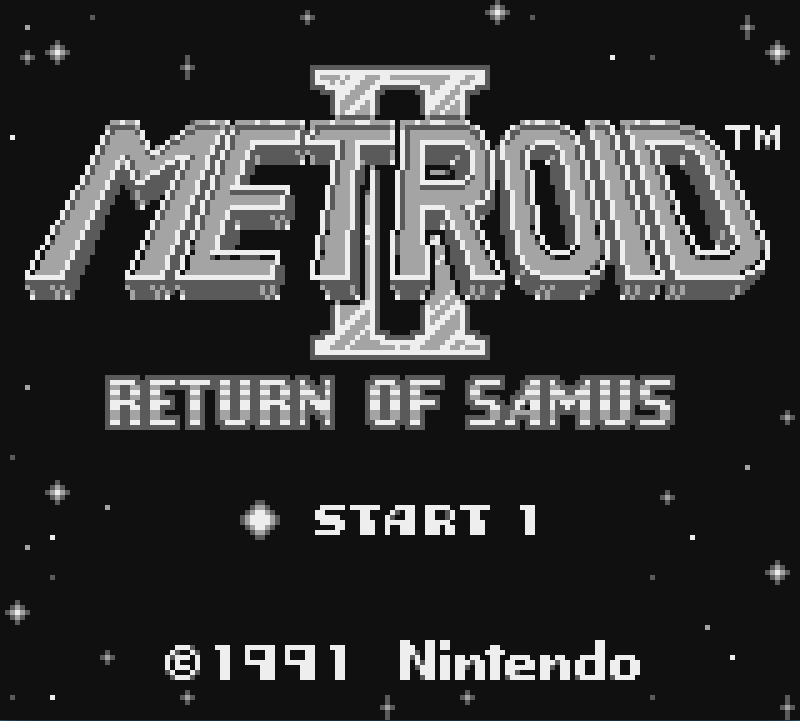 Unlike the original game’s title screen, with its black and white colors and its screeching tone, AM2R’s title screen draws the player in more so. This is really well done, and well thought-out, too. 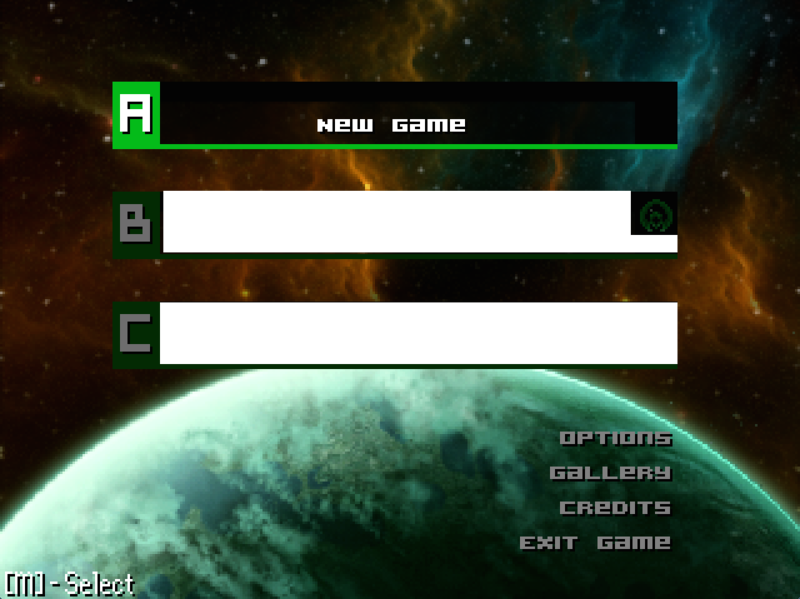 Pressing start yields a tasteful file select menu outlined with green lines and a black background with white writing, harking back to the first computers with their similar black background and green writing (I have whited out my own personal save files containing spoilers for the end of the game). 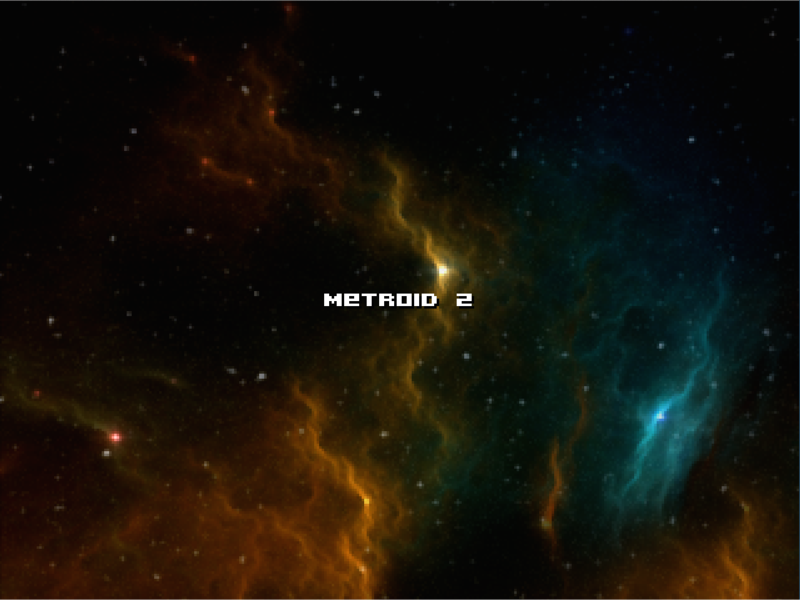 Also, note the Metroid image on the second file: this shows the number of Metroids left in the game, and that the files are labeled A, B, and C, letting the player save their favorite moments from the game or letting three people use one save file each. Below the file selection, there are “options” for controls, “credits” revealing that not only were the people who made this game credited, but also the people who made the original game were also credited (with a touching “in memory of Satoru Iwata”, Nintendo’s former president and CEO, who passed away in July of 2015), and an “exit game” option, self-explanatory. Selecting a new game presents the player with three options of “Easy”, “Normal”, and “Hard”. 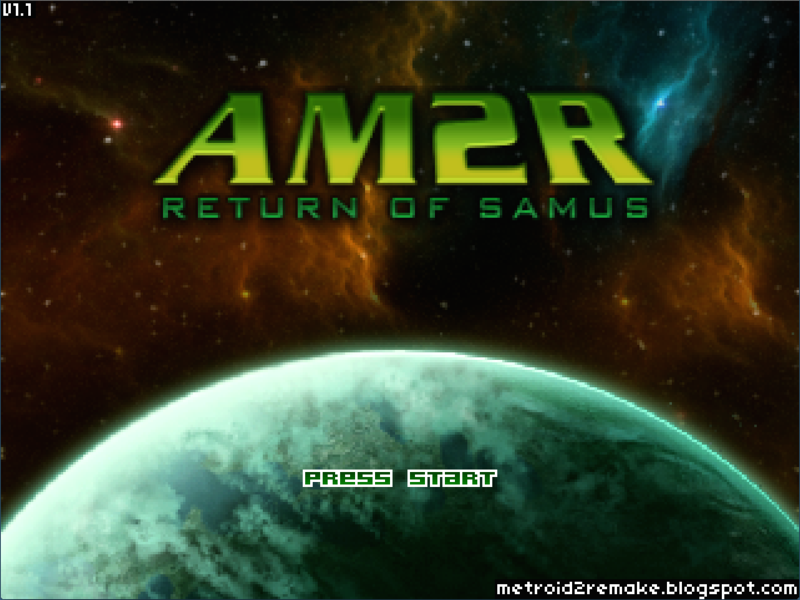 For this comparison of Metroid 2 and AM2R, Normal Mode will be selected for AM2R. There is no difficulty setting for the original Metroid 2. This retells the story we already know, but makes it exciting, and in addition places it in Samus’ point of view. This is a nice touch to the story, and keeping with the other games that have Samus’ point of view in the beginning of the game as well. 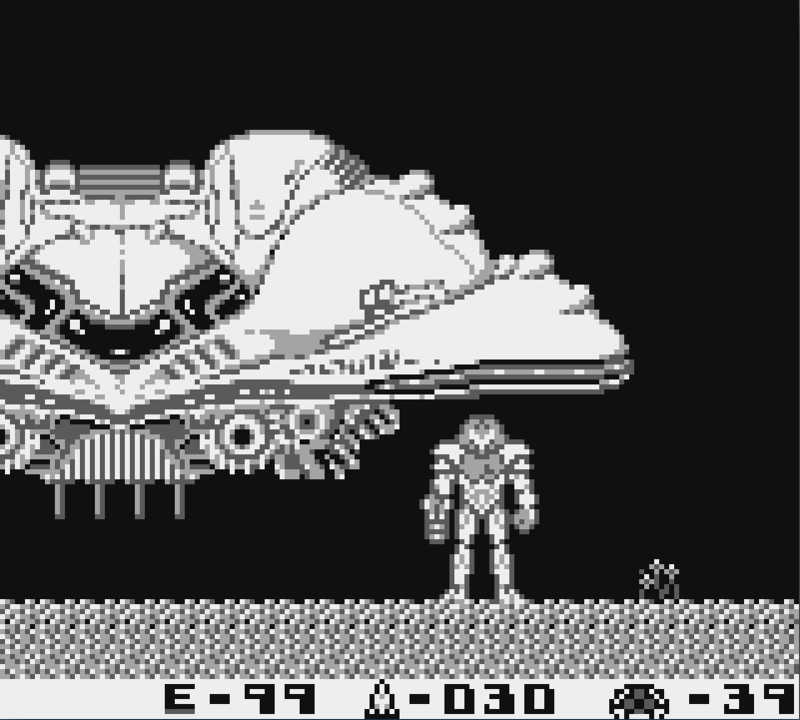 Also, being in black and white, they indicate that this is a “flashback” and it also mirrors the black and white of Metroid 2. 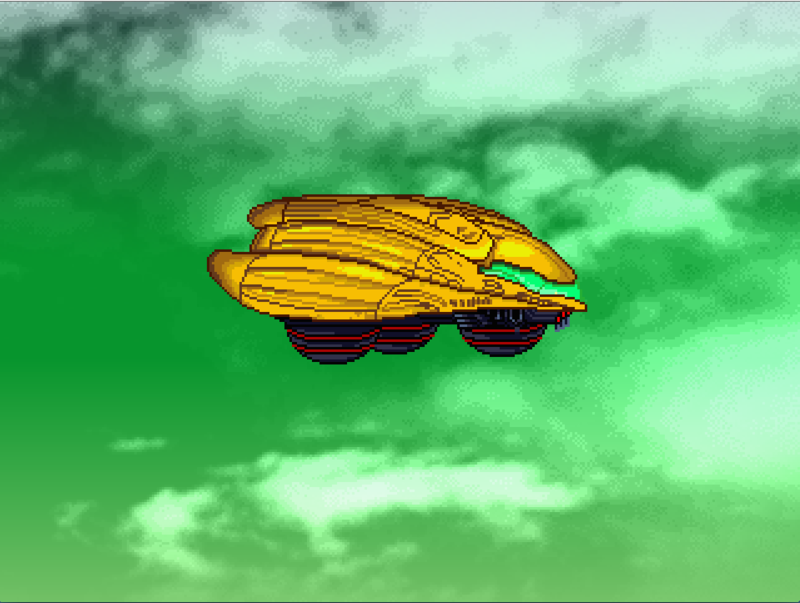 Finally, a triumphant fanfare sounds as the game starts, and this fanfare signals Samus’ arrival in the game whenever it restarts. 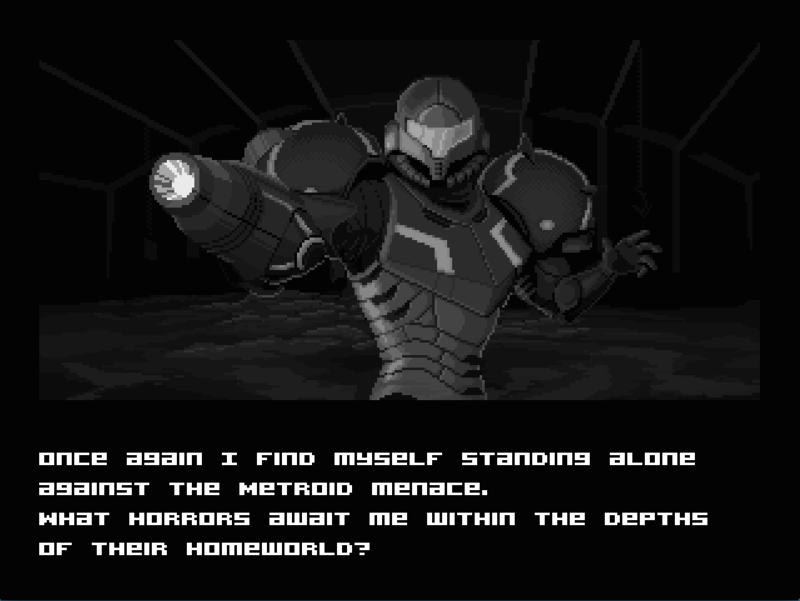 The start of this fanfare and the image of Samus standing next to her starship also occur after selecting a file in Metroid 2. After the fanfare, the game begins. 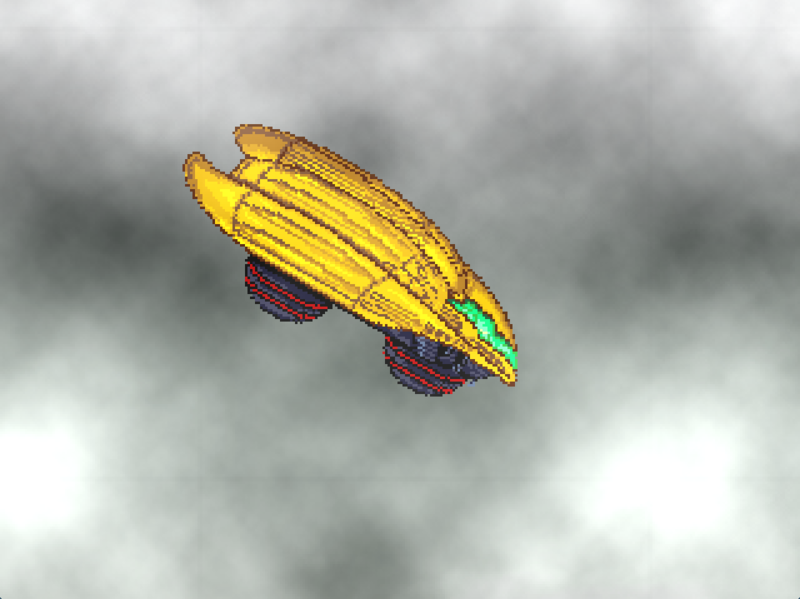 Next week, Samus will make her way through the caverns of SR388. < Previous Welcome to Jesse Hecht C.R.E.A.T.I.V.E. !